One Day More Fitness Blog: Another Post About Clothes! So, thanks to a power outage, I finished going through all my clothes, organized and hung the nicer things up and tried on everything (including things I thought would be too big and was shocked to find they fit perfectly). 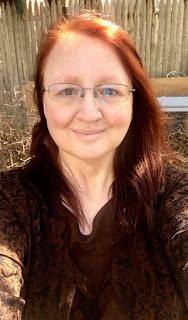 I have one big bag of clothes set aside for friends and two big bags of clothes for donations and I have so many "new" tops that I can wear now, like right now, that are pretty and nice and comfy some of which I've never worn before and some that were old favorites. 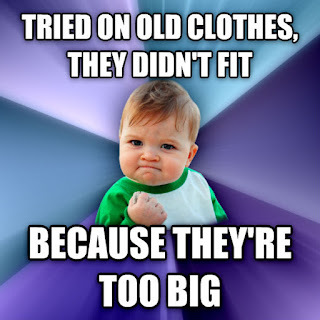 The only problem I'm looking at is that I thought my closet had a lot of medium and small size clothing that I could shrink down into but it turns out the majority are large and fit now and there are only a handful of mediums and some larges that don't fit quiet yet. There are no smalls at all. 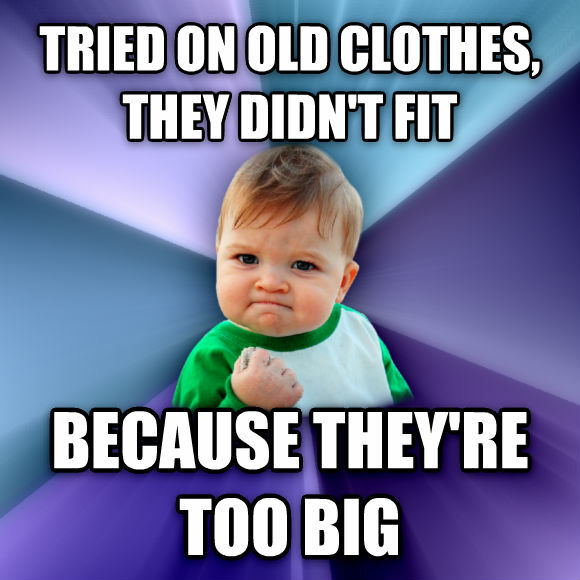 I must have gotten rid of them at some point in time when I thought I'd never drop the weight so I will have to go shopping a lot sooner than planned. But in the meantime, I am greatly going to enjoy wearing the clothes that have finally become available to me again! What an awesome feeling this is! !